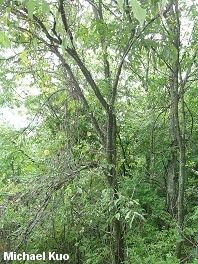 Small tree with sandpapery, toothed leaves; leaf bases asymmetrical; bark furrowed, gray to reddish brown; found in eastern North America. Habitat: Adapted to floodplains, ridgetops, and ecosystems in between. Stature: Up to about 60 feet high; to 2 feet in diameter; with a spreading, open crown. 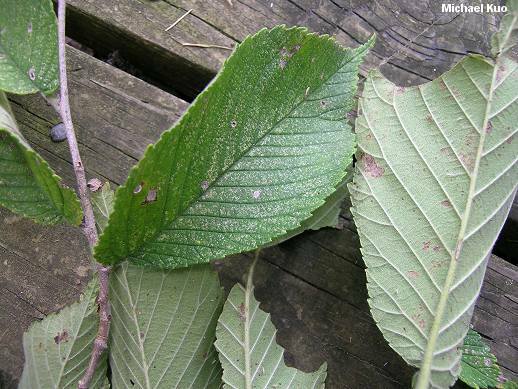 Leaves: 4-7 inches long; shaped like candle flames; coarsely, doubly saw-toothed; very rough (like sandpaper) on the upper sides; dark green above, pale green below; conspicuously uneven at the bases. 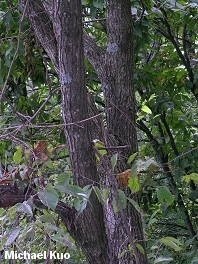 Bark: Thick; reddish brown to gray; furrowed with nearly parallel, flattened ridges.